Pen lope Cruz and Javier Bardem welcomed their second child on Monday, July 22, Hola reports. Cruz, who is said to have delivered a daughter in Madrid, flew under the radar, giving birth the same day as Kate Middleton. Details or official confirmation of the couple’s new addition – who joins big brother Leonardo, 2 – have not been released. Following months of speculation that Cruz, 39, and Bardem, 44, were expanding their family further, PEOPLE confirmed in February that a second baby was on the way. And when the actress was unable to attend Spain’s Goya Awards weeks later, her rep issued a statement that simultaneously explained her absence and confirmed her second pregnancy. “[Penelope is] tremendously happy and very excited,” her rep said at the time. It’s common knowledge that the Beckhams are a fashionable family. But as much as we love to see David and Victoria‘s kids dressed-up, it’s their everyday style that really puts a smile on our face. Case in point: we spotted Romeo, 10 , and Cruz, 8, grabbing lunch at In-n-Out Burger in North Hollywood on May 30 and the handsome brothers were rocking cool concert tees. Romeo paired a Nirvana Smiley T-Shirt ($19 – $29) with brown cords and gray sneakers, while Cruz wore a Ramones Presidential Seal T-shirt ($38) with gray plaid shorts and white sneakers. Even cuter? Their older brother, Brooklyn, 14, bringing up the rear holding little sister, Harper, 2. 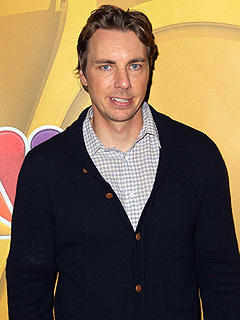 Dax Shepard has only been a dad for four months, but he seems to already have mastered parenting. “I got the secret weapons – the Five S’s: swaddling, sideways, swaying, shushing and sucking,” the actor, who utilizes Dr. Harvey Karp’s method, told reporters at NBC’s Press Tour in Beverly Hills on Saturday. The Parenthood star says the prospect of fatherhood was never too daunting for him, as he already had quite a few diaper duty experiences under his belt before his daughter was born. Not even sleep deprivation is plaguing the funnyman, explaining that he and Bell have developed a schedule for taking turns. “If you’re logical about your approach, there’s a way for everyone to get some sleep,” he says. Now that the couple has perfected parenthood, getting married is next on the agenda – but Shepard has no plans on having an over-the-top affair. “I’m sure it will be a quick something,” he says. Once you have a baby, you start to pay more attention to the products you use day to day – especially those you use on your little one. That’s why we’re big fans of Seventh Generation‘s eco-friendly baby collection. 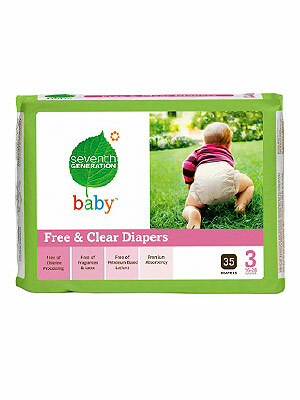 Everything from their chlorine-free diapers to their gentle foaming wash is made with the best ingredients available. Plus, they’re also great for the environment. Hurry up and enter for your chance to win here! Online entries must be received between 12:01 a.m. Eastern Time (“ET”) on 7/29/13 and 11:59 p.m. (ET) on 8/4/13. See Official Rules. Chuck Norris is karate-chopping his way through the real estate market maze and Million Dollar Listing New York‘s Ryan Serhant is taking us along for the mansion-packed adventure. And if this home looks familiar, it had its own starring role on Norris’s long-running series Walker, Texas Ranger – and for $1.2 million you can own the Texas-size tidbit of TV history. This sprawling 7,362 square-foot spread is actually owned by Norris’s brother Aaron and now that it’s completely renovated it needs a new owner with some deep pockets. Because everything is bigger in Texas, it only seems fitting that this Mediterranean-ranch style manse was also expanded to 4 oversized bedrooms, a whopping 9 bathrooms, large media room, even bigger poolside patio, 3-car garage, full gym, and an extra 884 square-foot detached studio to practice those crane-kicking moves. Even more importantly, can you spot the ’90s TV memorabilia on the wall? Let Ryan Serhant take you on a tour of TV history in the CB! video above. A day after being placed on psychiatric hold, Amanda Bynes got a bid of support from family. The troubled actress’ parents, mother Lynn Organ and father Rick Bynes, paid a visit to their daughter Tuesday at the medical facility in Los Angeles, Calif., where she is being held for for mental evaluation after allegedly starting a fire in a driveway of Thousand Oaks residential neighborhood. Ventura County sheriff’s deputies detained Bynes, 27, Monday on an 5150 hold, which under California medical code, is applicable when “any person, as a result of mental disorder, is a danger to others, or to himself or herself, or gravely disabled.” Though said hold typically last up to 72 hours, authorities could seek extend it for up to two weeks if they can show she is a danger to herself, according to the L.A. Times. While she wasn’t charge for the fire incident, Bynes is still facing several legal woes. She faces charges of reckless endangerment, tampering with evidence and possession of marijuana following her May arrest, when she reportedly tossed a bong from her Manhattan apartment. After a court date earlier this month, the former Nickelodeon star has another hearing set for Sept. 26. The actress also has a DUI case pending in California, was sentenced to three years’ probation in May for driving with a suspended license in May, and had two separate hit-and-run charges against her dismissed in late 2012. Throughout its 38-season run, Saturday Night Live has always been a revolving door for rising comedic stars: after developing their talents and making a name for themselves, the cast members eventually call it quits. This year, SNL is losing several esteemed veterans to the exodus: Jason Sudeikis just joined Bill Hader and Fred Armisen in leaving the cast. And next year, the show’s head writer, Seth Meyers, will bid adieu to his Weekend Update anchor post to take over as host of NBC’s Late Night. Now SNL‘s longtime leader Lorne Michaels faces a challenge: Can he find worthy talent to fill the shoes of some of the sketch comedy’s biggest stars? We’ll have to wait for the new season to see what new cast members come from his annual hunt for new SNL additions. But for now, as we say goodbye to the alums, let’s remember the good times. Here’s Armisen, who impersonated everyone from Mahmoud Ahmadinejad to the Queen of England, signing off with a reprisal of his punk Ian Rubbish. Here’s Sudeikis, who became the resident Romney impersonator during election season, in his signature role, The Devil. Here’s Meyers doing what he does best, anchoring the Weekend Update. And, lastly, here’s Hader reporting as Stefon, the outrageous city correspondent, for one final time.